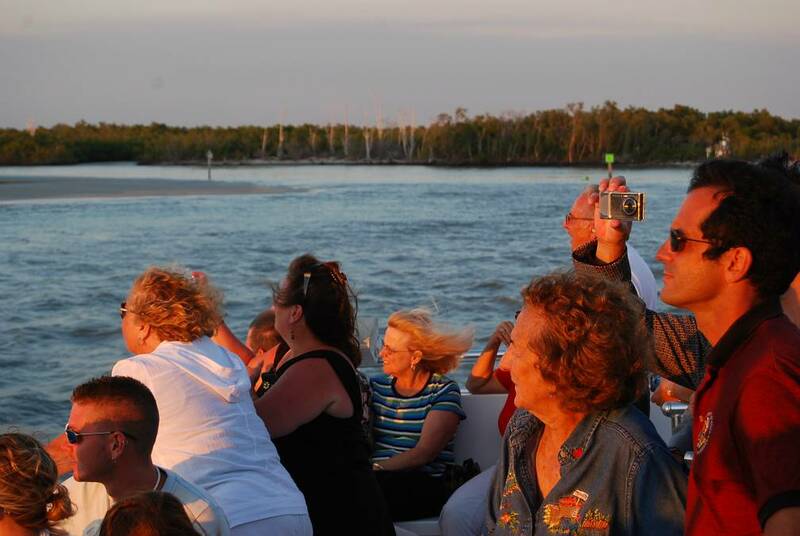 Want to make unforgettable memories while on a sightseeing cruise in Naples, FL? Love to see homes of the rich and famous? 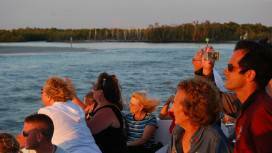 Can’t wait to see dolphins and exquisite sunsets over the Gulf of Mexico? Or perhaps you’re searching for a tour company that can provide you with options like guided jet ski tours, a place to eat, and kids cruises? 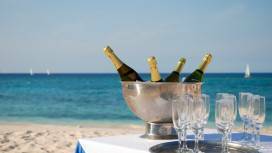 If so, you’re in luck because here in Naples, we can accommodate all of these. Our friendly and informative staff are here to make your experience a great memory – and even a repeat in the future with family and out of town guests. 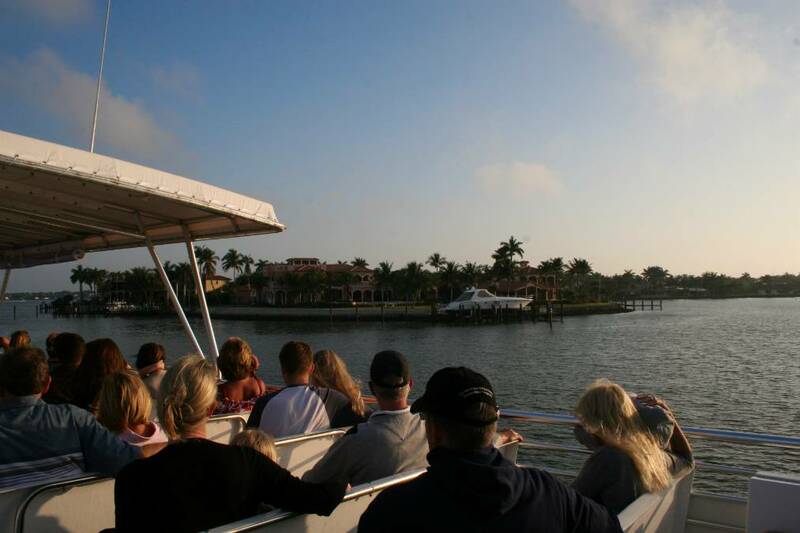 At our Naples location you’ll get a one-of-a-kind sightseeing cruise where our friendly and knowledgeable staff will provide interesting stories and historical insight about the beautiful Naples Bay and Gordon Pass waterways. 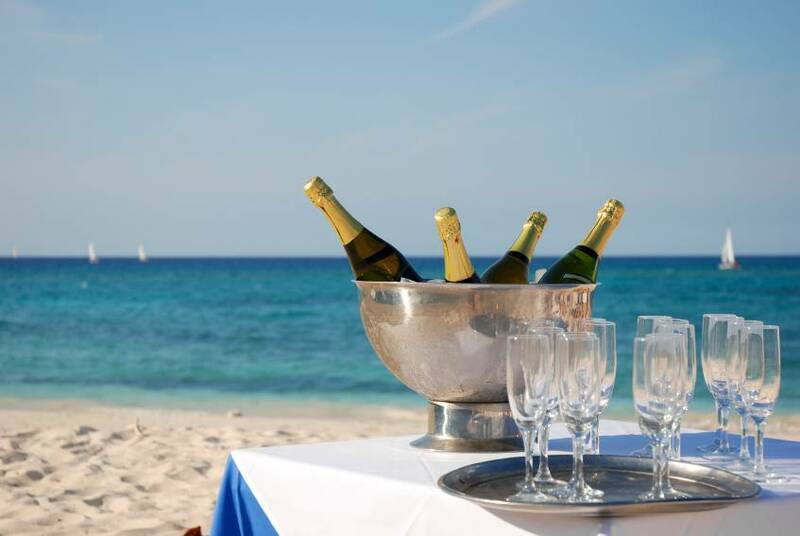 Here you can relax, sip on a refreshing beverage, check out the luxurious mansions and take in the amazing sights Naples Bay and Port Royal have to offer. 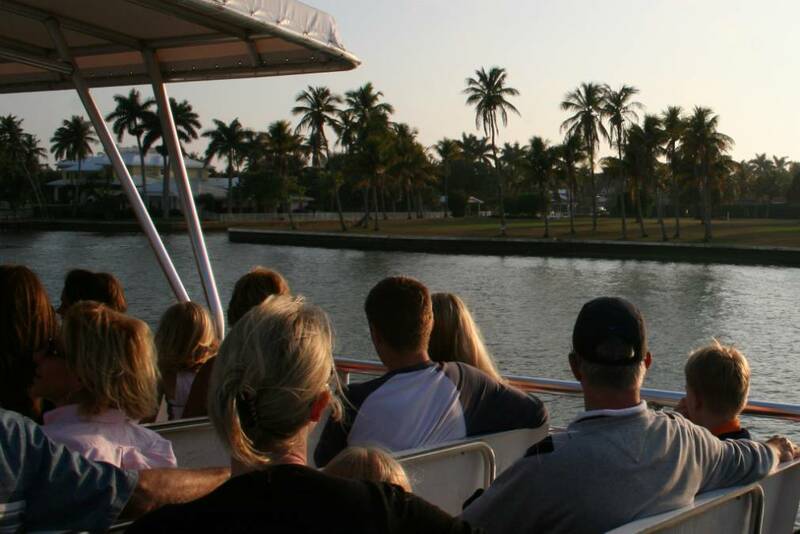 This sightseeing tour is perfect for a romantic date as well as a fun adventure for the entire family. 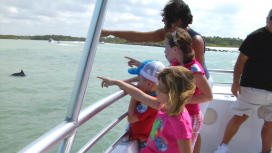 If you’re lucky, you’ll even be able to enjoy the occasional dolphins frolicking alongside the boat. 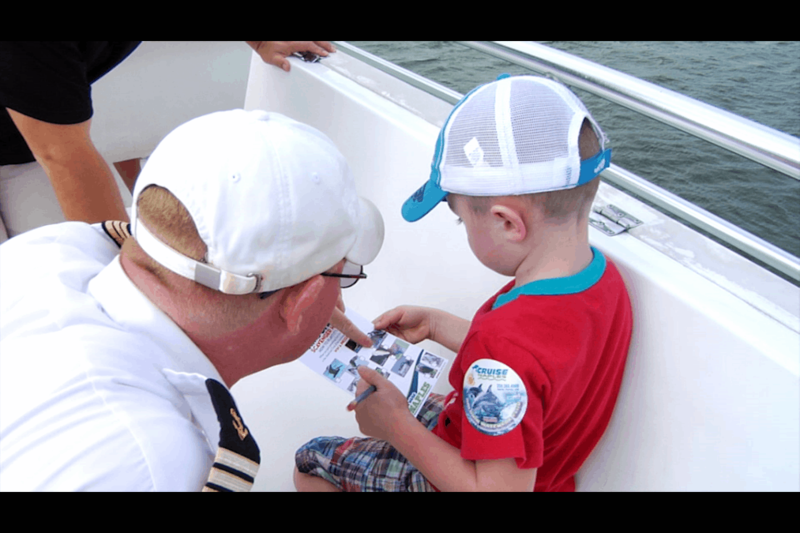 Please note If dolphins are the main reason you’re coming to cruise with us, we recommend our dolphin watch cruise where you’ll have an even better chance of seeing them. 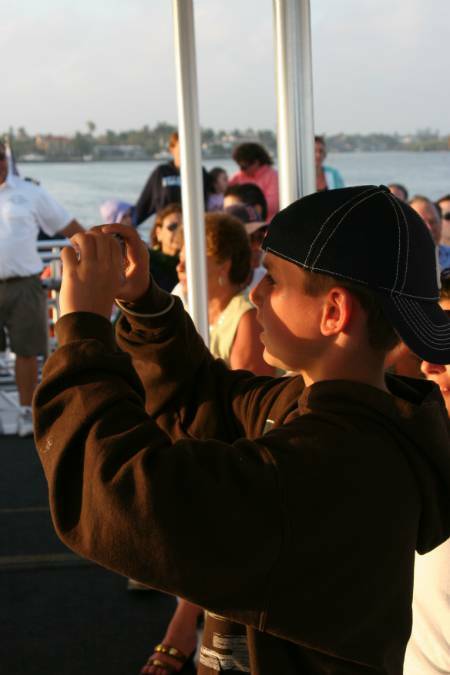 Enjoy the cruise and then explore the shops and restaurants at TIN CITY. 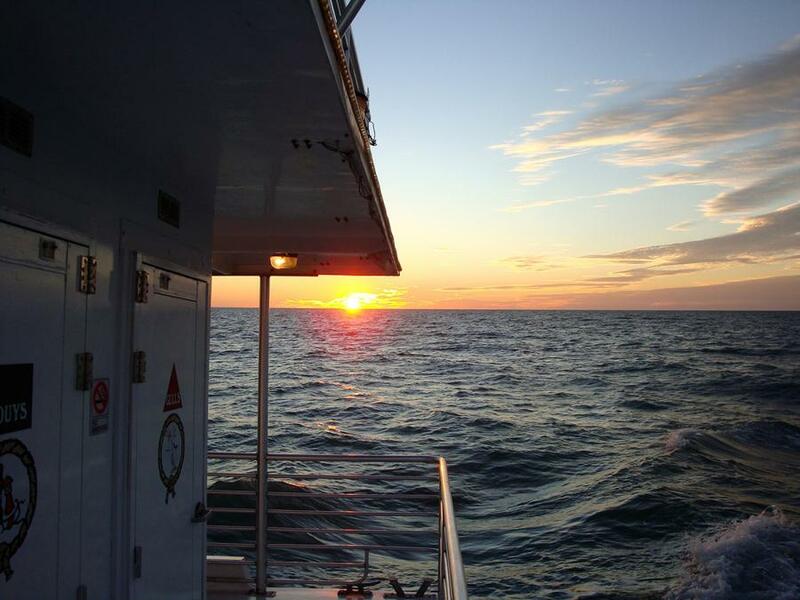 Our Naples location currently offers five daily, 1.5 hour cruises aboard the award-winning M/V Double Sunshine, equipped with an upper and lower deck for maximized viewing and enjoyment. 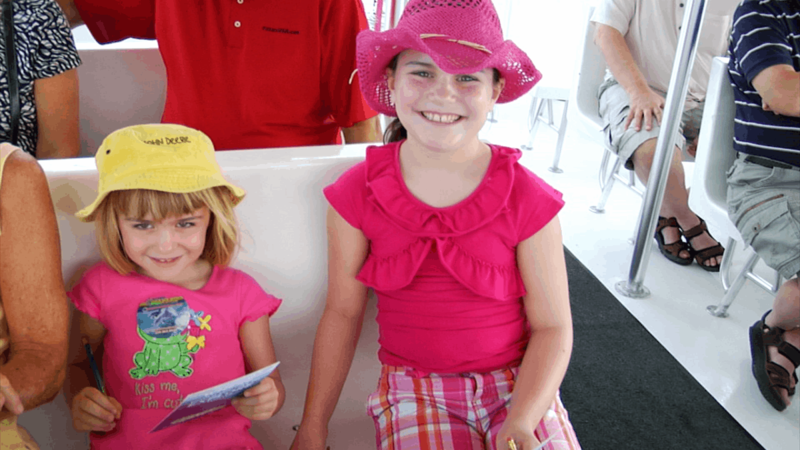 For an even better experience, we have 3 options that may appeal to you – Sunset cruise, Kids Cruise, and Cruise & dine. 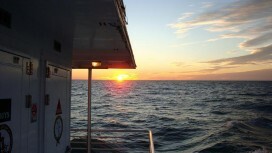 If you have chosen the Sunset Cruise, your captain will stop the vessel at sea for a few moments to allow you to watch our glorious sunset – the reflection on the water having given your vessel its name of Double Sunshine. 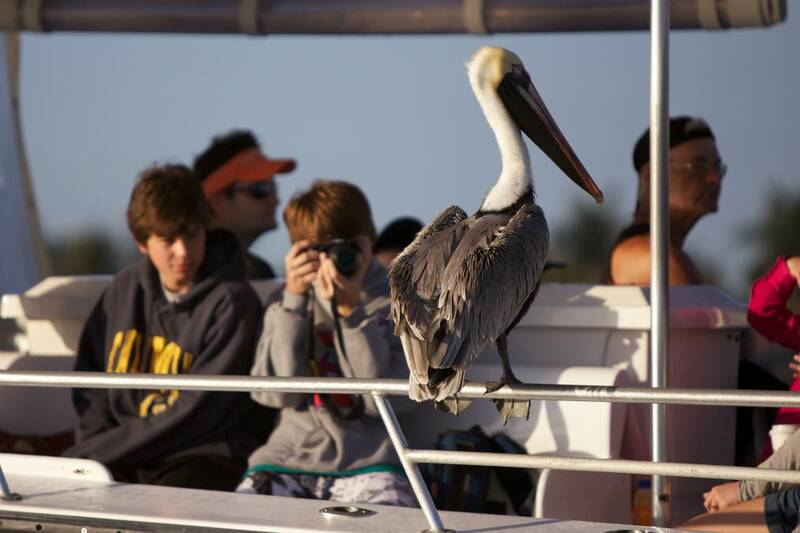 Once the sun has dropped over the horizon of the Gulf of Mexico, you will see the beautiful colors in the sky and we recommend that you take as many photos as you can to remember your experience. 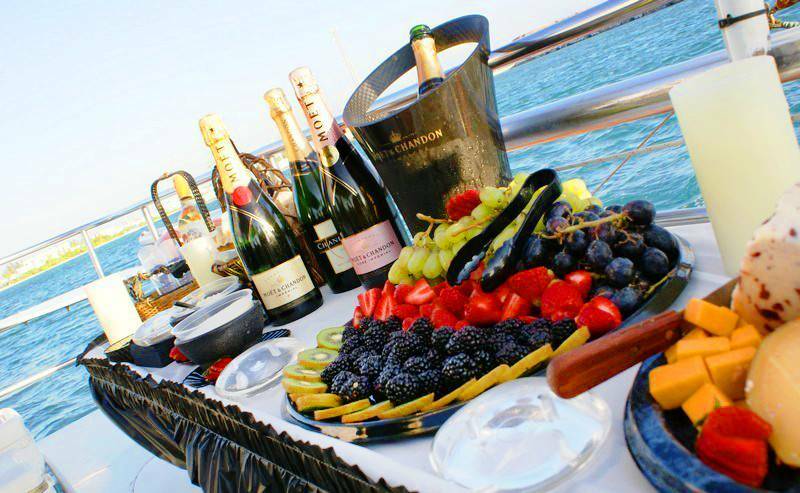 Plus you can enjoy a drink on board. After sunset, we return to Tin City to the lazy tunes of Jimmy Buffet, see the city, the homes and river side as lights come on. Then stay around Tin City for the restaurants and shops to add to the memory of your cruise and something special to take home. 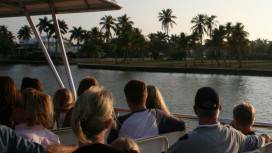 Cruises depart 1 hour before sunset daily – call us for departure times. 995-6959. It’s Saturday morning. What are the options? Pure Florida’s Naples location offers Kids Ride Free (when accompanied by an adult fare) on the Saturday, 10 AM Dolphin Watch Sightseeing Cruise. 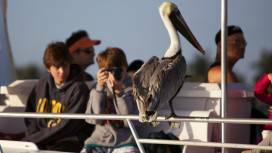 Enjoy the M/V Double Sunshine for 1.5 hours of pure fun while seeing pelicans, a Bald Eagle or two, plus families of dolphin and other wildlife. 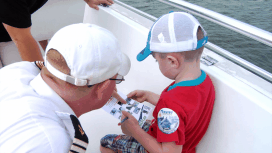 Kids can also take part in our Scavenger Hunt to win a prize! 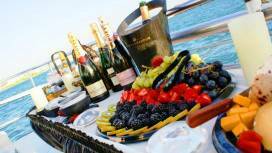 In Naples we are pleased to offer our Cruise and Dine experience. 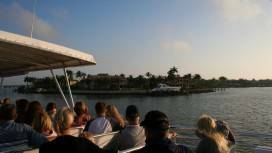 Enjoy a 1.5 hour cruise on board the M/V Double Sunshine to see and listen about the waterways of Naples. 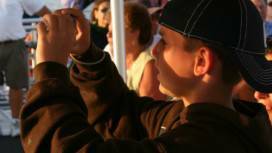 Take the cruise at sunset or any time, and combine the experience with a dining option at either Riverwalk Restaurant or Pinchers Crab Shack. Both venues are on the waters-edge right there at your departure point in Tin City. 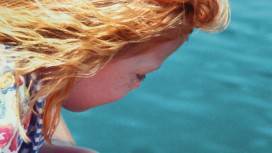 What guarantee is there that I will see dolphins? There is no guarantee. 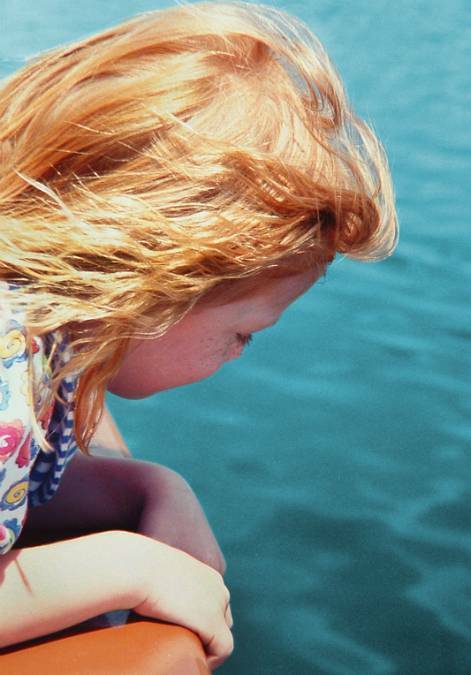 Rest assured we will do our best to ensure that you and your party sees dolphins. But sometimes mother nature simply doesn’t cooperate and we are at her mercy. Does Double Sunshine still set sail if it’s raining? Yes, if it is raining she does still go out. However if severe weather presents any type of danger for our crew or passengers she will not set sail for a particular time cruise. Do you have restrooms on the boat? Nope, you’ll have to “hold your water” for the entire trek. Just kidding. :) Yes we have both ladies and men’s restrooms available. For more answers to your frequently asked questions, check out our FAQs page.